Is Rochelle Humes going to be the new Xtra Factor host? We hope so! 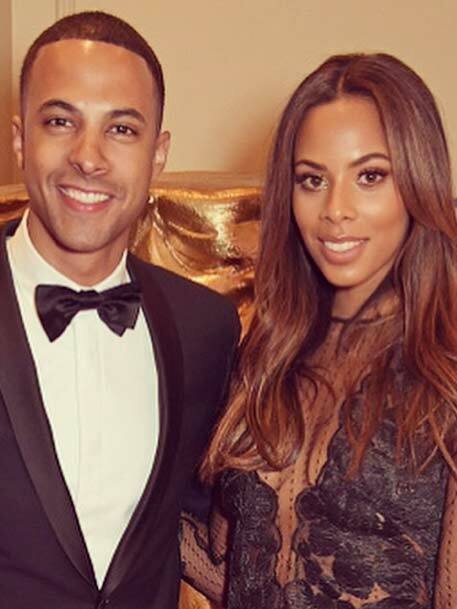 There could be battles in the Humes household if Rochelle lands the coveted Xtra Factor presenting job. Rochelle, who is one fifth of girl group The Saturdays, is on the shortlist of presenters being considered for the X Factor 2015 spin off show on ITV2. But the 26-year-old pop star is married to former JLS singer Marvin Humes, 30, who is also a presenter on rival show The Voice on BBC, and things could get tricky at home as they go head to head in the TV singing contests. The couple, who have a two-year-daughter Alaia Mai, married in 2012, and have presented together on This Morning. But according to The Sun it is Rochelle who is top of the list to take over from current presenter Sarah-Jane Crawford who is stepping down to concentrate on other projects. A source told the paper: ‘The decision over who will take over on The Xtra Factor will be made soon and Rochelle is one of the leading contenders. Rochelle auditioned for the show with close friend and Kiss FM DJ Melvin Odoom, and this has sparked the idea of a new Caroline Flack/Olly Murs style-duo. Rochelle and Melvin have worked together before on Sweat The Small Stuff and the pair are known for their chemistry. Other names in the running include former Big Brother presenter Brian Dowling. Rochelle Humes’ food diary in pictures – what she REALLY eats!